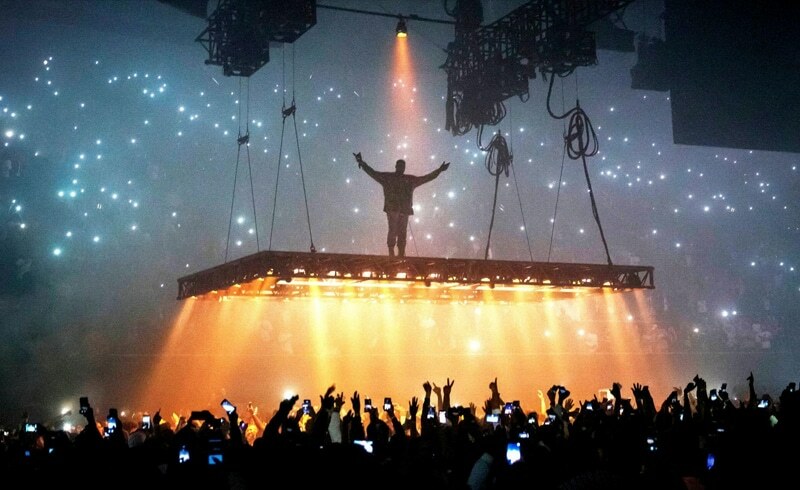 As many of us remember, Sacramento was the final stop last November before Kanye West canceled the rest of his tour. The rapper exhibited strange behavior on many occasions throughout the tour. Sacramento was no exception with a 17-minute long tirade in the middle of the concert. On a recent episode of All Things Legal, Craig Ashton, Ed Schade, and Timothy Hodson discussed the infamous Kanye West and his multi-million dollar insurance battle with Lloyd’s of London over his canceled tour. Many artists find it reassuring to invest in a tour coverage insurance policy. This will help in any unforeseeable incidences that unintentionally halt or cancel a tour. This ensures that the artist still receives the money they would have been paid had the tour gone on as planned. Kanye West was no different. He paid hundreds of thousands of dollars to Lloyd’s of London insurance before his Saint Pablo tour began. After the cancellation of more than 20 shows and a hospitalization for an alleged “serious, debilitating medical condition”, West filed a claim with Lloyd’s of London for $10 million dollars. In response, Lloyd’s of London launched a full-on investigation into West’s claim. The investigation found “discrepancies in his medical history”, which brought out exclusions to the policy contract. In the contract, West was required to disclose all pre-existing medical conditions, drug use, or alcohol use. He failed to disclose any of that information. Lloyd’s of London denied West coverage of the claim based on evidence found in their investigation that marijuana use caused the medical condition and the cancellation of the tour. This was not declared when the insurance claim was made. Be sure to disclose any and all important information to your insurance company. This helps produce a realistic premium that the individual needs to be insured. If an individual fails to provide accurate information, they may trigger an exclusion in a policy contract and are at risk of being completely uninsured when something goes wrong. It is always important to make sure you are providing your insurance company with factual personal information and to always double check the exclusions within a policy contract. Save yourself the hassle later. Make sure you are covered under any circumstance by being as transparent as possible.